What a week it has been. Not only do we have to endure the debacle that is BREXIT but the Zionist lobby has decided to inflame the debate about alleged anti-semetism in the Labour party. They directed their venom at its leader, Jeremy Corbyn. Dame Margaret Hodge, a veteran member of the Labour Party, a Jewess of German origin is reported to have said the following in the House of Commons to Mr Corbyn, face to face. Corbyn and the Labour Party were condemned by many British rabbis and most Jewish organisations in the UK. What brought this about? The Labour Party National Executive Committee signed off a contentious code of conduct that only partly adopts the internationally recognised International Holocaust Remembrance Alliance (IHRA) definition of antisemitism.While agreeing to the definition of antisemitism the Labour Party did not adopt four of the IHRA examples of antisemitism. Accusing Jewish people of being more loyal to Israel than to their home country, claiming that the existence of Israel is a racist endeavour, holding Israel to higher standards than other countries and comparing Israeli policies to those of the Nazis. You see, this reminds me of that infamous saying by George W Bush after 9/11. “Either you’re with us or you’re against us.”The Zionist lobby in Britain is so powerful that only the very brave or suicidal politician will raise his or her voice against their agenda. They have equated Jews with Zionism. 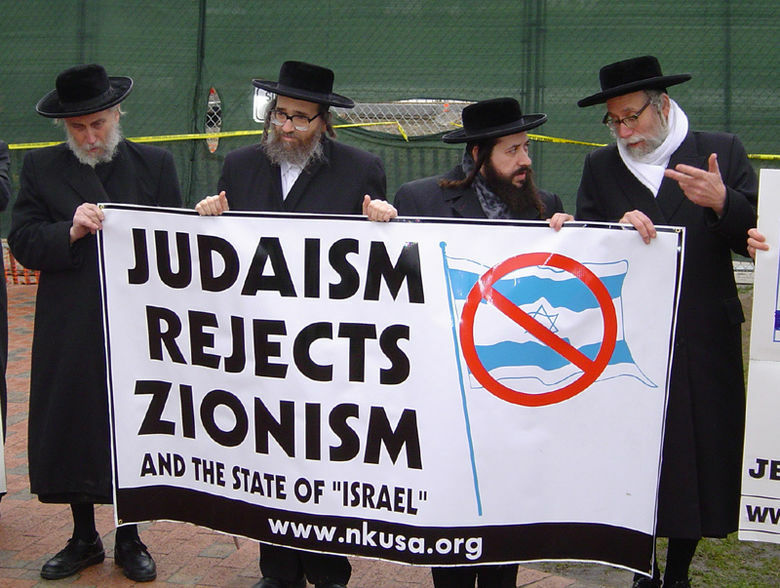 I know many a Jew who is not a Zionist. They have equated the State of Israel with Judaism. I know many a Jew who does not believe that Israel, the way it was created and the way it is behaving represents them. They have made criticism of the policies of the government and army of Israel as criticism of Jews. I know many an Israeli Jew who not only criticises their own government but comes out in public and condemns the behaviour of the Israeli government and army in no uncertain terms. I urge you all to read a recent article in Haaretz by that world renowned Israeli columnist, Gideo Levy, on the recent vicious attack by Israel on Gaza. ‘We should Be Saluting The Gaza Strip’. Then there is author, Miko Peled and his sister, Nurit Peled-Elhanan who wrote volumes about Apartheid Israel. Then there is author, activist and internationally acclaimed musician, Gilad Atzmon. Are all of these Jews antisemites? Or are they all decent human beings who decided to call a spade a spade. Finally, this morning before I listened to hours of banal radio discussions of the subject of anti semitism I received this clip, which is another glaring example of how even Israelis who served in the airforce in Israel have come out against what they were ordered to do and what their country stands for. Now please tell me, who is an anti semite? The person, Jewish or not, who stands up and calls the situation in Israel as it is or those who toe the line of Zionism and look the other way? Much of the history of the Jewish diaspora is being forgotten or neglected. The Jewish Labor Bund argued against the establishment of Israel and many of their reasons have proven accurate. To create Hebrew as the national language of Israel, the Yiddish culture, meetings and publications conducted in Yiddish were physically attacked by Zionists.